Who has been battling lots of snow recently? I know we have! This weeks free crochet pattern will complete my Snow Drops Pattern Collection. Because, let's be honest, if it has to be THIS cold and THIS snowy - we at least want to be able to wear something pretty, right? I wrote the Snow Drops Mittens pattern to match my Snow Drops Mod Scarf and Snow Drops Slouch Hat, and you will only need two cakes of your favorite Caron Cakes yarn to make all three! 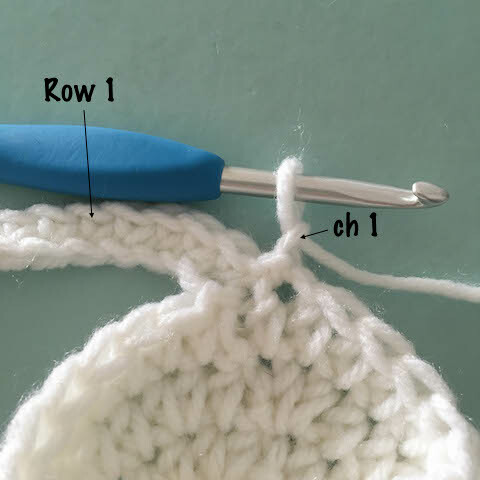 Keep reading for the free crochet pattern AND star stitch in-the-round video tutorial. If you have never crocheted mittens before, don't be intimidated! Mittens are much easier than they look. This pattern uses my basic method of mitten construction while incorporating the incredible texture provided by the star stitch. If you want some help with basic mitten construction, I have a right and left handed video tutorial to help you with mittens from beginning to end here. As you can see from the photo above, I did not control where my color changes happened for my mittens, but that doesn't mean you can't! Feel free to cut your colors separately and spread the rounds out evenly so the mittens will match. Or use any of your favorite worsted weight yarn to make these. Now that you have seen these, remember to take a peek at my Snow Drops Mod Scarf and my Snow Drops Slouch Hat as well! They are two of my most popular free patterns! A special thanks to my pattern testers: Kaleigh, Lori, Melissa and Crystal! Tip of fingers to bottom of wrist = 10"
Width of finger section = 3.75"
Width of thumb = 1.5"
This pattern is written to fit an average adult woman. I used a fairly tight tension for this project, please check your gauge so the mittens fit properly. 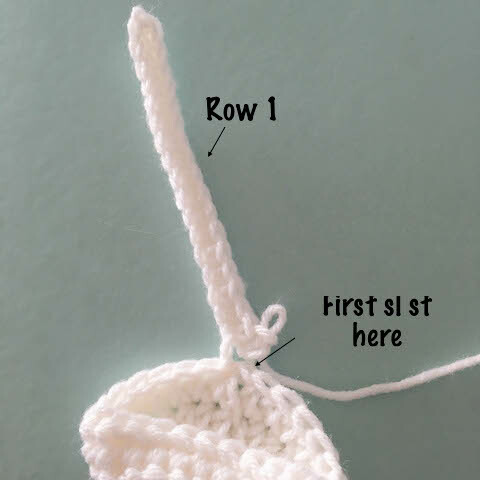 Thumb size can be adjusted by changing the number of stitches you start with (try to keep it an even number). Length can be adjusted by adding/subtracting rounds as needed. Because the Star Stitch does show a seam, I have written this pattern as two separate mittens. 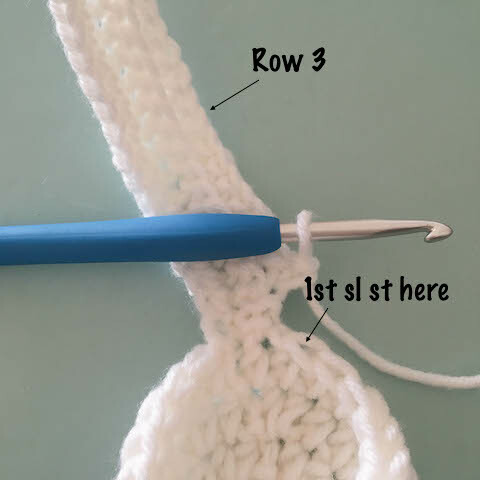 They are not designated “right” or “left” because that will change based on whether you are crocheting right or left handed. Just make sure to make one of each. The seam is intended to be on the palm side of the hand when turned right side out. Round 7: Ch 2, make the first star stitch of the round and continue with star stitches around. When you reach the end of the round, HDC in the last st of the round (this will have already been worked into by the previous star stitch) (14 stars + 1 HDC). Round 16: Ch 2, make the first star stitch of the round and continue with star stitches around. When you reach the end of the round, HDC in the last st of the round (this will have already been worked into by the previous star stitch) (14 stars + 1 HDC). Round 19: Ch 2, make the first star stitch of the round and continue with star stitches around. When you reach the end of the round, HDC in the last st of the round (this will have already been worked into by the previous star stitch) (16 stars + 1 HDC). Round 22: Ch 2, make the first star stitch of the round and continue with star stitches around. When you reach the end of the round, HDC in the last st of the round (this will have already been worked into by the previous star stitch) (15 stars + 1 HDC). Starting where you ended Round 23, ch 9 sts. In the second chain from the hook, SC in the remaining 8 ch stitches. When you get back to the beginning of the ch, sl st into the first st of Round 23. This creates your first row of ribbing. Row 4-26: Repeat Rows 2 (on even rows) and 3 (on odd rows) until you have gone around the entire base of the mitten. After completing Row 26: Working through the BLO of Row 26 and the FLO of your starting chain, sl st across to seam the cuff together. sl st into the last st of Round 23. Tie off yarn and weave in ends. Continue on to complete the thumb. Cut and tie yarn leaving a long tail. Using a yarn needle, weave through every other stitch around the top. Pull to cinch the thumb shut and tie off. Weave in all ends.